Founded by Michael Hart in 1971, Project Gutenberg is a free digital library containing more than 43,000 e-books. Most of the works are in the public domain, though in some cases copyright holders have given Project Gutenberg permission to use their work. Most of the works are in English, but the library also includes texts in French, German, Portuguese, and other languages. The effort is run by volunteers who are constantly working to expand the library's offerings. Project Gutenberg was named after Johannes Gutenberg, the German inventor who developed movable type in 1440. 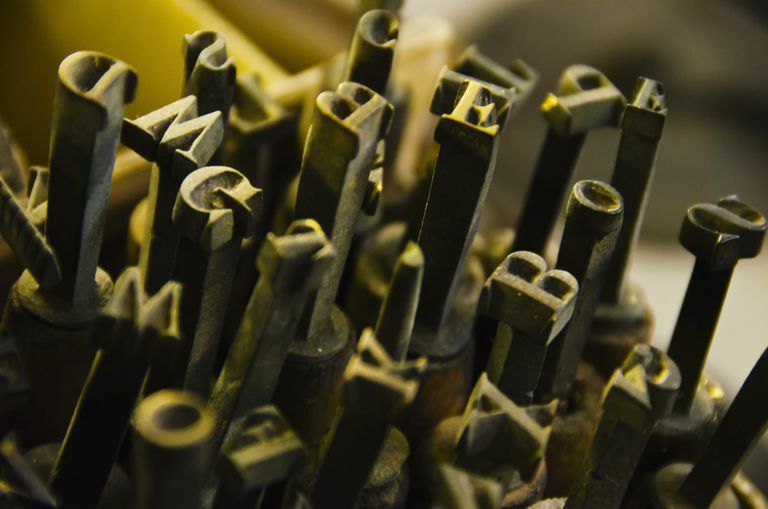 Movable type, along with other advances in printing, helped facilitate mass production of texts, which fostered the rapid spread of knowledge and ideas in art, science, and philosophy. Goodbye, Middle Ages. Hello, Renaissance. Note: Because copyright laws vary from country to country, users outside of the United States are advised to check the copyright laws in their respective countries before downloading or distributing any texts from Project Gutenberg. Project Gutenberg offers a wide range of texts, from the United States Constitution to old issues of Popular Mechanics to charming medical texts like 1912's Cluthe's Advice to the Ruptured. At first, this arrangement seems straightforward, but on closer examination, you'll realize that all of the stories categorized under "Asia" and "Africa," for example, are written by English-speaking authors like Rudyard Kipling and Sir Arthur Conan Doyle, who wrote stories about those continents. In contrast, some of the stories categorized under "France" are by French writers; others are by English writers writing about France. The remaining categories seem somewhat arbitrary (Ghost Stories, Victorian Stories of Successful Marriages, Victorian Stories of Troubled Marriages), but there is no question that they are fun to browse through. In addition to the short stories category, Project Gutenberg offers an extensive selection of folklore. In the children's section, you can find myths and fairytales, as well as picture books. When you click on an interesting title on Project Gutenberg, you'll be confronted with a somewhat daunting (depending on your comfort level with technology) array of files to choose from. If you click "Read this e-book online," you'll get completely plain text. This is an important part of what Project Gutenberg is trying to accomplish; these texts will be preserved electronically without complications from fancy formatting that might not be compatible with future technologies. Nevertheless, knowing that the future of civilization is secure won't improve your reading experience today one iota. The plain-text online versions are uninviting, awkward to page through, and don't include any images. A book called More Russian Picture Tales, for example, simply includes [illustration] to tell you where you might see a lovely image if only you could get your hands on the book. Downloading a plain text file rather than reading it online is slightly better because you can scroll all the way down the text instead of hitting "next page" over and over. But it is still pretty stark. HTML. In general, the HTML file will provide a better reading experience online. Take a look at the HTML file for More Russian Picture Tales, and-voilà!—the illustrations appear. EPUB files, with or without images. These files work on most e-readers, but not on Kindle. Kindle files, with or without images. Be aware, though, that Project Gutenberg is up in arms because of the Kindle Fire, unlike previous Kindles, is not particularly compatible with free e-books. For suggestions, you can read their webmaster's Review of the Kindle Fire. Plucker files. For PalmOS devices and a few other handheld devices. Reading archival material, electronically or otherwise, is very different from reading other books. The lack of context can be disorienting. 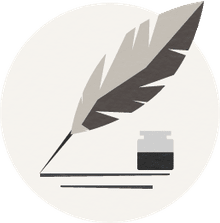 You can often find a copyright date, but otherwise, there's very little information about the author, the piece's publication history, the culture at the time it was published, or its critical reception. In some cases, it may be impossible to even figure out who had translated works into English. To enjoy Project Gutenberg, you need to be willing to read alone. Going through these archives is not like reading a bestseller that everyone else is reading, too. When someone at a cocktail party asks you what you've been reading, and you answer, "I just finished an 1884 short story by F. Anstey called 'The Black Poodle,'" you will likely be met with blank stares. "I have set myself the task of relating in the course of this story, without suppressing or altering a single detail, the most painful and humiliating episode of my life." Unlike most works you read in anthologies, many of the works in the Project Gutenberg library have not withstood the proverbial "test of time." We know that someone in history thought the story was worth publishing. And we know that at least one human being—a volunteer from Project Gutenberg—thought a given story was worth putting online forever. The rest is up to you. Browsing through the archive may raise some questions for you about what on earth that "test of time" really means, anyway. And if you feel you'd like some company in your reading, you can always suggest a Gutenberg piece to your book club. Though it's wonderful to see a familiar name like Mark Twain in the archives, the truth is that "The Celebrated Jumping Frog of Calaveras County" has already been widely anthologized. You probably have a copy on your shelf right now. So the Gutenberg price tag, though fabulous, isn't really the best thing about the site. "I almost wish every man was a reformed drunkard. No man who hasn't drank liker knows what a luxury cold water is." Cold water may, indeed, be a luxury to the drunkard, but for someone who loves short stories, the real luxury is the chance to explore thousands of rich-but-almost-forgotten texts, to read with fresh eyes, to get a glimpse of literary history, and to form unencumbered opinions about what you read.